The TFC conveyor is a nominal 8' long, carbon steel slider bed conveyor with bolted adjustable channel legs. It is designed to be used with sewing systems and bag top sealers. The unit includes adjustable back guards and power roll motorized belt drive. 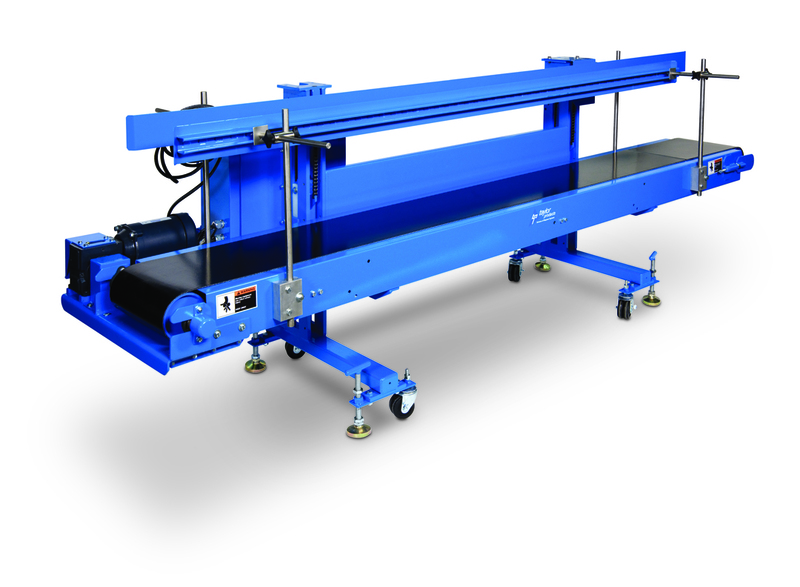 The TSC conveyor is a nominal 8' length, carbon steel slider bed conveyor with hand-crank adjustable height pedestals. It is designed to be used with sewing systems and bag top sealers. The unit includes adjustable back guards and power roll motorized belt drive. 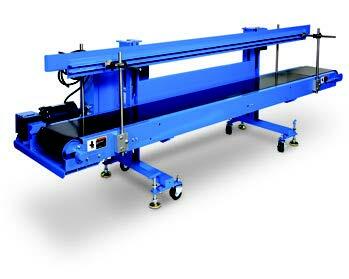 The TSL conveyor is designed to integrate a basic sewing machine with an adjustable height bag transfer conveyor. As the bag travels along the conveyor, the bag top can be introduced into the sewing machine and the bag top will be sewn closed while the bag travels along on the belt conveyor. The unit includes Carbon Steel construction. 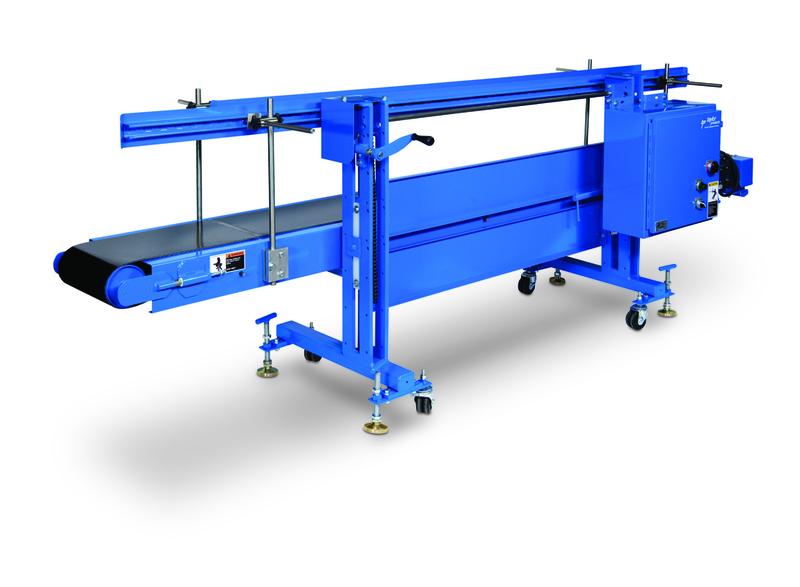 Nominal 8' long slider bed conveyor with hand-crank adjustable height pedestals. Adjustable back guards and power roll motorized belt drive, adjustable height sewing head mount with a drive motor for sewing head including motor starters and two position foot switch to start-stop the sewing head-first position and stop the conveyor second position. The TIC conveyor is a nominal 8 ft long, carbon steel Slider Bed Conveyor with bolted adjustable legs. It is designed to be used with valve bag packers to accept the bag as it is discharged from the spout and elevate the bag to waist height for easier palletizing. Operating temperature range of 32°F to 110°F. Locking casters with T-Handle floor locks.